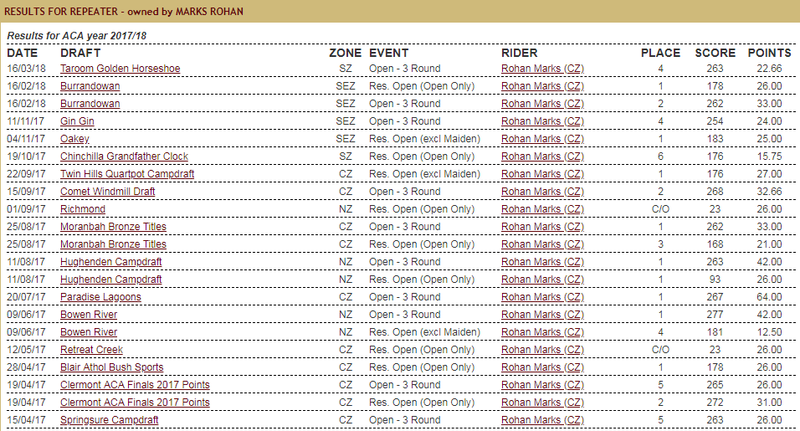 Leading the field into this weekend’s ACA Open Horse Title is Rohan Marks’ Repeater. 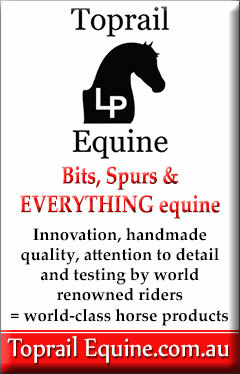 With 555 points, Repeater holds a 61 point lead from Harry and Pete Comiskey. 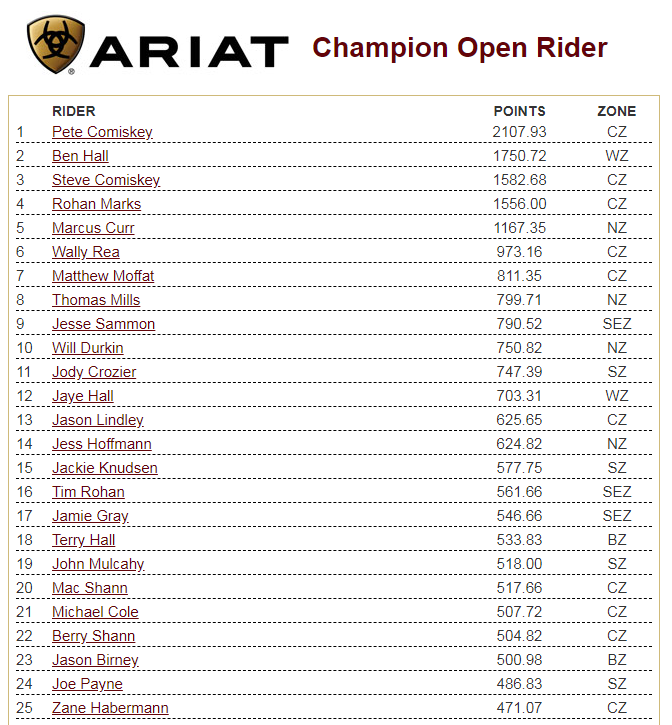 ACA National Standings for the prestigious Open Rider Title. 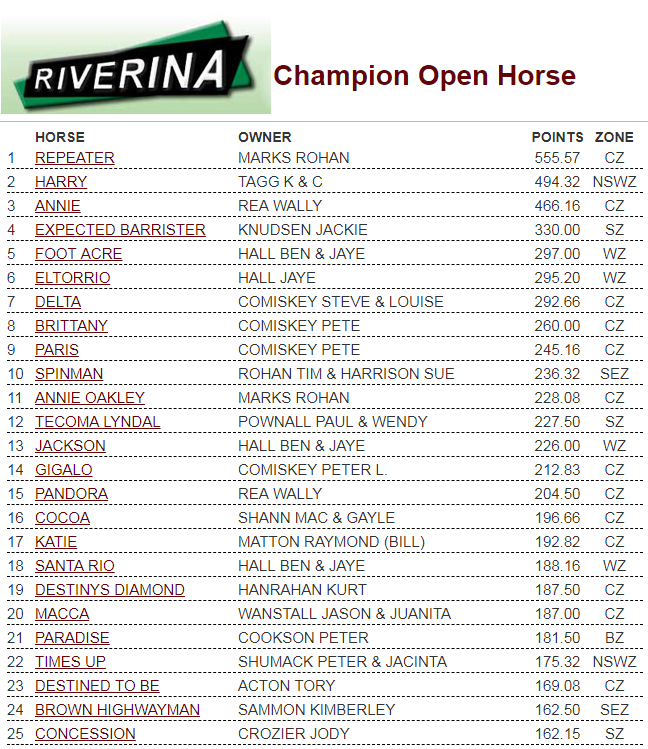 ACA National Standings for the prestigious Open Horse Title.